http://streetclassics.co - sign up here. Hi friends! Here's a sneak peak (stills) of a short film I'm working on to launch the Street Classics website & blog. The project started off with me wanting to put together some basic video clips for the cover page of the website (see above). It was meant to be short & simple - a collection of street clips slapped together for the website cover page. I had plenty of unseen street footage from my travels in the last 6 months - Japan (Tokyo, Kyoto, Osaka), Hong Kong & New York. As I started digging through my footage and playing around with the clips - many of which I had never reviewed before, it quickly turned into something else. It's probably better that I share this footage with you all as you all already know how long it takes me to put a proper video together. I plan to release the film when we launch the Street Classics blog. David Sark & I have been hard at work putting it together and coming up with a content plan & schedule. Our community is growing rapidly and we want the brand to grow beyond just Instagram. Expect takeovers, interviews, tutorials, gear checks, location & travel posts, tips & tutorials (merch?) and more! For now you can join the Street Classics community here. This film will be a little different to my previous films. I've consciously tried to experiment with some different styles and techniques. 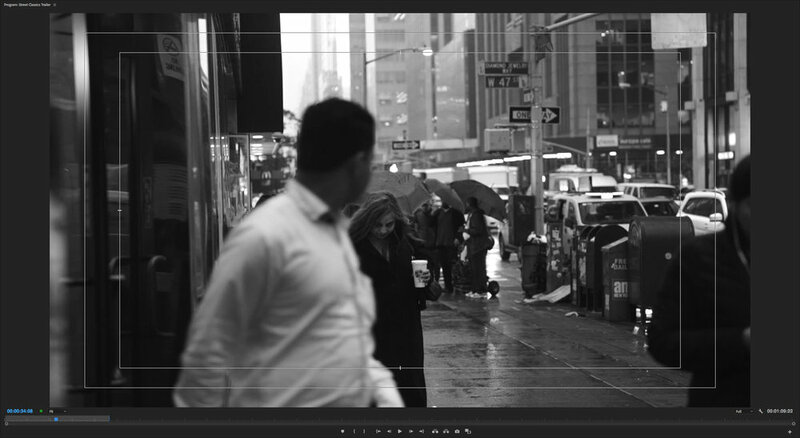 I decided to grade the film in black & white in homage to traditional street photography. It is my first black & white grade and has been tricky to navigate but I like how it is turning out. The power of a black & white grade I feel, is that it helps highlight the people of the street scenes and makes it less about their surroundings or what they're wearing. (This is the case for black and white street photography). I drew a lot of inspiration from @sohrachsoh's Hong Kong video which you can find here. There is also a lot of @timtothewild's vibe and style in it too (see his work here). 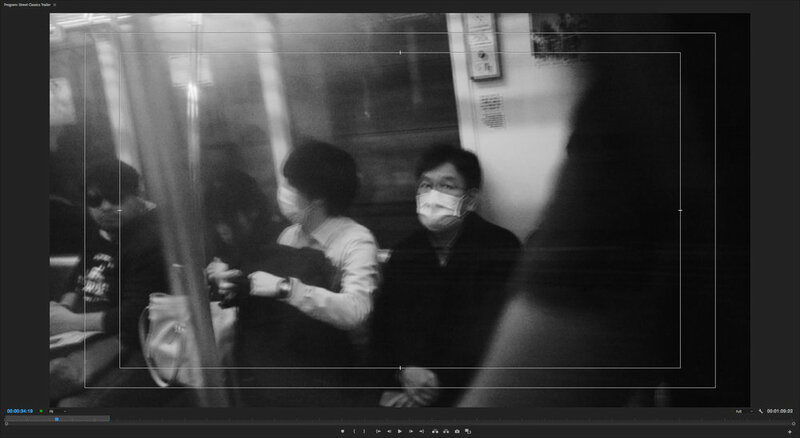 There is definitely more Japan footage in the film as I spent almost 2 months there compared to the 5-6 days in HK / NY. In this film I play a lot with pace and speed. I've mixed a lot of juicy slow motion footage with faster paced 24fps clips. I also made it a point to mix in and contrast smooth gimbal footage with the more raw hand held footage. It's different, and not very long (barely over a minute) but I can't wait to share it with you. What are your thoughts on black and white films? Let me know in the comments below. Follow me on Instagram @itchban and subscribe to my YouTube channel /itchban. Also make sure to follow @street.classics on Instagram!